"Blacklist Agents" details are public in Freight Midpoint. 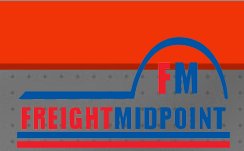 In case there is blacklisted agent in Freight Midpoint, you can follow the details here. Please note that "CELERITER INTERNATIONAL FORWARDING SA DE CV" is a debtor and delinquent company. Please note that "ZORBA LOGISTICS PVT LIMITED" is a debtor and delinquent company. Despite many attempts by creditor to collect, there is still unpaid invoice. FM Management intervened to the subject but "BLUE LIGHT LOGISTICS CO." hasn't replied emails. Please note that "BLUE LIGHT LOGISTICS CO." is a debtor company. This service is a separate tool from "Black List Agents" and it is worldwide based which covers members and non-members if they are debtor or delinquent. The details are available exclusively for Freight Midpoint members. Please log in to review the content and database under members only area.